If you think about it, birds don't really care about how birdhouses look, as long as they provide enough food and a good shelter. With this in mind, German photographer Reinhard Hunger decided to make some rather randomly-styled crafty birdhouses with what he could source around his house. The idea was to repurpose different used objects that could provide non-migratory birds like bullfinches a cozy home during the increasingly cold European winters. 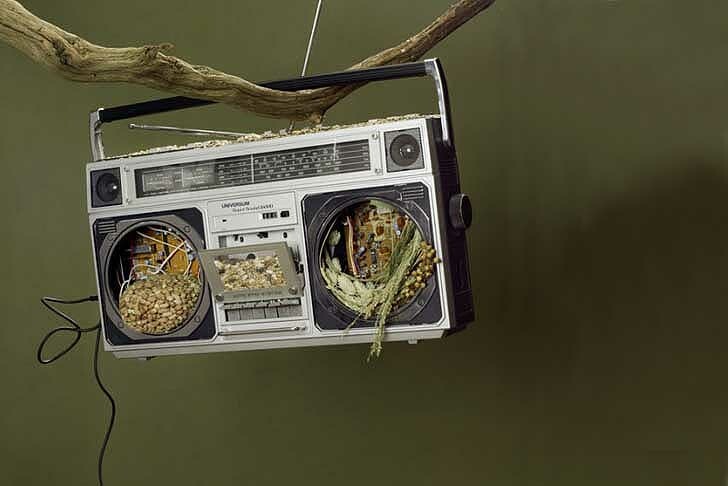 A retro boom box could hold lots of seeds and can be hang from its handle on a tree branch or hook. 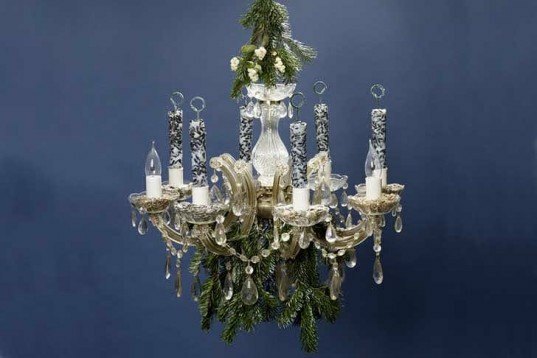 Hunger’s grandmother’s chandelier was decorated with some old Christmas tree branches and could feed up to 6 birds at a time. A few sliced coconuts and some cotton string topped by a wig make a bizarre yet biodegradable addition to the collection. In a more elegant manner, a brass cake stand can also provide some food and shelter to our cute feathered creatures. If this year’s winter got a bit too long and cold, why not give your local birds an exotic Caribbean break? Jokes aside, these ingenious, perhaps sometimes tacky examples, are an inspiration on reusing our old stuff in exchange for some beautiful songs. A retro boom box could hold lots of seeds and can be hang from its handle on a tree branch or hook. Hunger's grandmother’s chandelier was decorated with some old Christmas tree branches and could feed up to 6 birds at a time. A few sliced coconuts and some cotton string topped by a wig make a bizarre yet biodegradable addition to the collection. In a more elegant manner, a brass cake stand can also provide some food and shelter to our cute feathered creatures. If this year's winter got a bit too long and cold, why not give your local birds an exotic Caribbean break? Jokes aside, these ingenious, perhaps sometimes tacky examples, are an inspiration for reusing our old stuff in exchange for some beautiful bird songs.